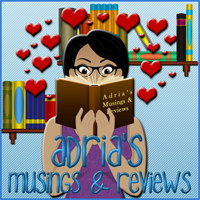 Adria's Musings and Reviews: Adria Picks Ten: TV Episodes That Crack Me Up. Okay so I’m a compulsive list maker. I have lists for EVERYTHING all over the place. I have music playlists on my phone, iPod, and Kindle which I have HANDWRITTEN in two journals and typed out on virtual notepads on said devices. Some of my lists are funny or straight up weird so I thought Why not share them?. Maybe they’ll be good for a laugh or maybe you’ll want to start up your own list of lists. This is just in good fun really, well, for me it’s more like I need a place to put all these lists that drive everyone nuts around here. Today’s List: Ten TV Episodes That Crack Me Up. I’ve had a rough two weeks guys, if you’re a regular blog visitor you know that our only car overheated and we had to get a loan from the bank to have it fixed. So I need to laugh and I have movies and tv shows that make me feel good. I hope these will make you laugh too since I was able to find either clips of the funniest scenes in each episode or even the whole episode (Thanks YouTube). 1. Frasier - 11x16, Boo. Episode Description: Frasier’s clown costume gives his father a mild heart attack. The first few minutes sets the tone for the whole episode basically. It’s that opening scene that makes me laugh so hard because I watch the show almost every night and if you don’t know, Frasier and his brother Niles are kind of uptight, very snooty, and arrogant. They are both highly educated psychiatrists but when it comes to normal people stuff like street smarts and common sense they just fail. Episode Description: When Barbra Jean convinces Reba to hack into Kyra's e-mail, they find out she is planning to attend an unsupervised party. I wish this series had gone on longer, it was so funny and unique. The show opens up and reveals that Reba and Brock, her dentist husband, were once married and then separated as a trial run but while they were separated, Brock had an affair with his dental hygienist, Barbara Jean. Barbara Jean ends up pregnant and Brock’s marriage to Reba ends in divorce and he marries Barbara Jean. In an effort to keep things as normal as possible for their three kids, Reba tries to keep things as civil with Brock and Barbara Jean as possible. Meanwhile Barbara Jean is hell bent on making Reba her friend. Complicating matters is the fact that Brock and Reba’s eldest daughter Cheyenne, who is only 17 is also pregnant and that her boyfriend (And star football player) Van wants to marry her. Talk about a blended family! The show was full of laughs, love, and more laughs. Episode Description:Maxwell wants Brighton to play more sports, so Fran takes him to play baseball in Flushing. 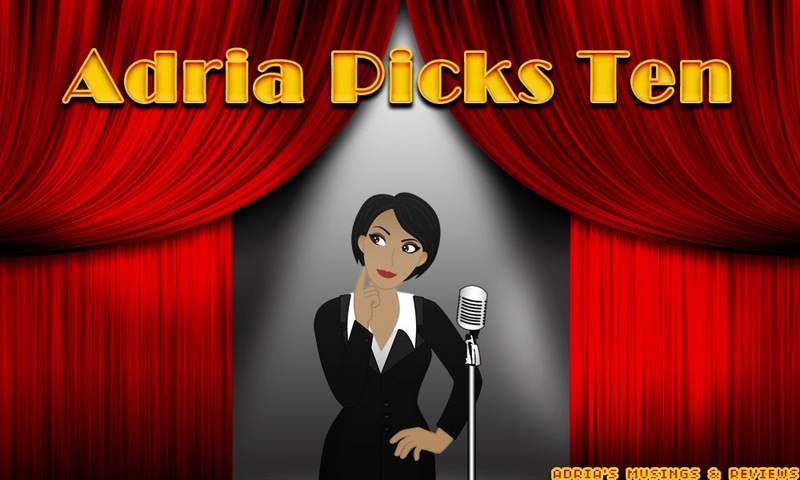 At Sylvia's, he shows an incredible talent for playing the card game known as canasta, so he joins Yetta's canasta team to play in Atlantic city. Fran is soon kicked out of the team, but at the very last minute Brighton realizes that he doesn't belong to a group of Jewish women from Flushing and gives his place to Fran. Afterward Niles is found dancing around the house in a shirt and boxers to Old Time Rock and Roll. The antagonism between Niles the butler and C.C. Babcock is legendary and this scene is just so hilarious. Episode Description: Angel goes to the studio of a popular show after learning they are stealing the life forces of children, where he triggers a spell that transforms him into a puppet. While Angel and company try to reverse the spell and save the lives of hundreds of children, werewolf Nina declares her romantic intentions towards Angel and Gunn discovers his given knowledge of the law leaving his mind. Omg but I cracked up hard with this episode. The series, a spinoff of Buffy the Vampire Slayer was usually known for being a paranormal drama but this episode mixed in some seriously funny stuff. Angel as a puppet and Spike sees him and can’t resist making fun of him. So, so good. Episode Description: When Willow casts a spell to make Buffy forget her sojourn in heaven, it goes hopelessly awry; Spike ducks a demon loan shark. This whole episode has moments of pure funny with Willow’s spell causing ALL of them to lose their memories. The best scene is when Spike is making fun of Giles’ accent and realizes he too is English. Also, who doesn’t remember “Randy Giles?” Lol. Episode Description: The episode is based on a time loop scenario, with SG-1 team members Colonel O'Neill and Teal'c repeatedly reliving the same ten hours after a mission on a planet. Since the rest of their team and all personnel at Stargate Command are unaware of the happenings and do not remember the time resets, O'Neill and Teal'c are forced to find a solution on their own. Episode Description: An old friend of Jesse - a reporter - comes to a visit. Jesse and Eric have fun together, but Jesse, who doesn't know about the double life of his wife, tells his curious friend a little bit too much. He smells a story and he investigates. He doesn't need much time to find out "your wife is an Alien." The episode flashes back and forth from the present to a tv show like version of the plot playing out a la Bewitched. It’s a fun bit in a plot that could have serious consequences for Max, Michael, and Isabel. Episode Description: A case of blackmail threatens to topple the monarchy itself, but soon Sherlock and John discover there is even more to it than that. They find themselves battling international terrorism, rogue CIA agents, and a secret conspiracy involving the British government. This case, however, will cast a longer shadow on their lives than they could ever imagine, as the great detective begins a long duel of wits with an antagonist as ruthless, original and brilliant as himself: Irene Adler. This show is pure genius, a combination of dry wit, zany scenarios, and characters you don’t know whether to love or hate. The bed sheet scene is super funny to me and shows just how bad John and Sherlock can be when they want. Honestly I could have made a top 20 list with just this show because it was so funny and uplifting but there aren’t many clips on YouTube for me to share. This episode has a psychiatrist trying to reconnect with the world after he loses a patient to suicide and he knows that the 4077th is the best place to find his humanity again and they don’t disappoint! The practical jokes and the mystery of the joker keeps me laughing because not even Colonel Potter is safe! Episode Description:Sam is a New York City taxicab driver named Max Greenman (played by Ross Partridge) who's trying to earn enough money to get his father his own medallion. Along the way, he meets a woman, Angelita Carmen Guadalupe Cecelia Jimenez who claims to be an angel (Liz Torres), can see Al, and pretends to believe that the later is the devil. Sam literally runs over Angelita, who was a stage performer and singer who died in 1928. She mysteriously appears 30 years later, in 1958, and claims to be an angel sent by God to make sure that things go right for Max, and ultimately to protect Sam from being killed along with the all-of-a-sudden very in-danger Max. Angelita can see Al, who doesn't get along very well with her, and says she is there to help Sam in his mission! Sam's mission, however, is to keep from getting himself killed while still earning the medallion. This episode is my mom's favorite and I can see why. It's touching but also hilarious since Al and Angelita don't get along and Angelita is such a sassy woman!